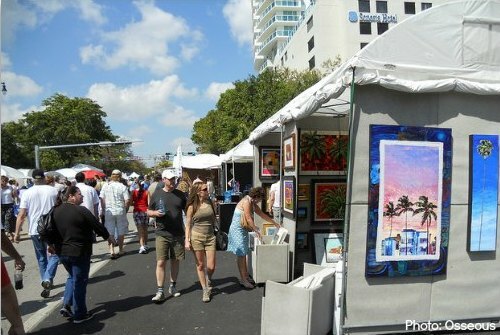 The renowned Coconut Grove Art Festival is a weekend filled with live music, exquisite food, fun outdoor entertainment, and art, art, art... all in the backdrop of one of Miami's most beautiful waterfront settings. 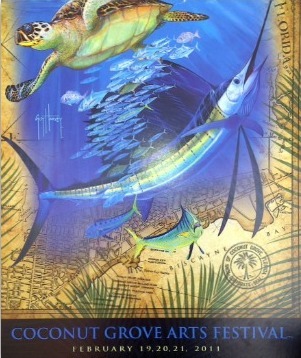 Now on its 56th year, the festival promises to deliver on all fronts, so plan your weekend and come out to enjoy one of South Florida's premier events in the arts and cultural calendar. 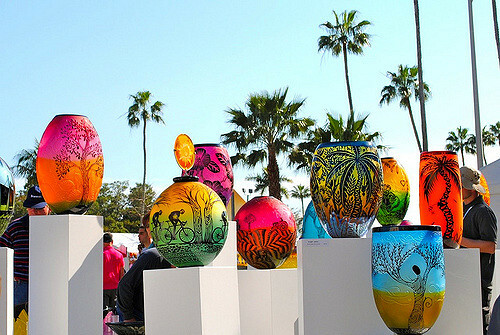 It has been ranked one of the Top 5 Art Fairs in America by the leading ArtFairCalendar.com. 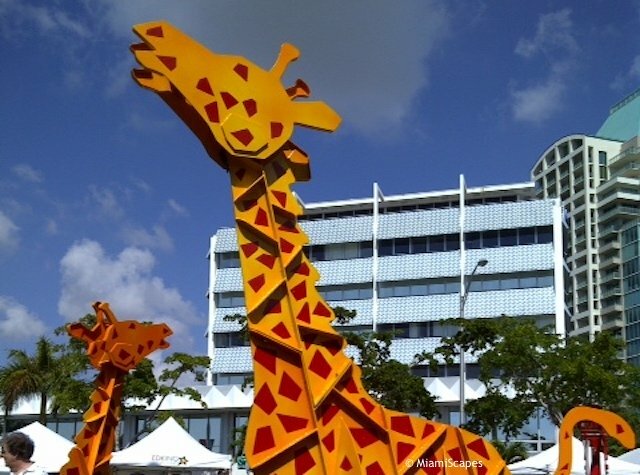 This is one of the most fun and colorful art festivals you can ever attend, the outdoor setting and lively atmosphere are just extras to the wide range of works on show. You will see all sorts of genres being represented through this mile-long stretch where hundreds of artists from all over the world have come together. Ranging from paintings, watercolors, and photography to digital art and 2D and 3D mixed media, sculptures, jewelry, glasswork... the variety is endless. This is a great venue to shop for that special something for the house or office. Art is for sale and the wide price ranges can certainly accomodate any budget. Food is also art, and at the Culinary Pavillion, international acclaimed chefs will delight with their specialties and live presentations. 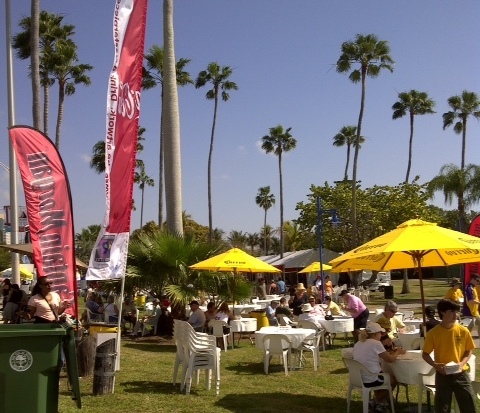 And of course, food tents and carts will be all along the festival route, with all our favorite festival foods to enjoy while strolling the grounds or just take a break, enjoy the palm trees, the sunshine and the breeze by the bay on a glorious February day in South Florida. Where? 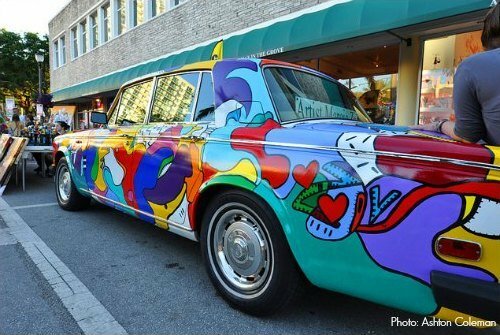 Streets of Coconut Grove. 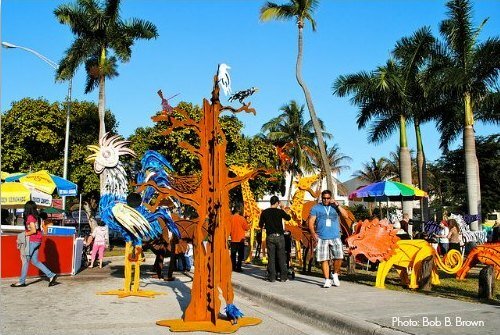 The Festival runs along McFarlane Road, South Bayshore Drive and Pan American Drive. See Map below. Where to Park? 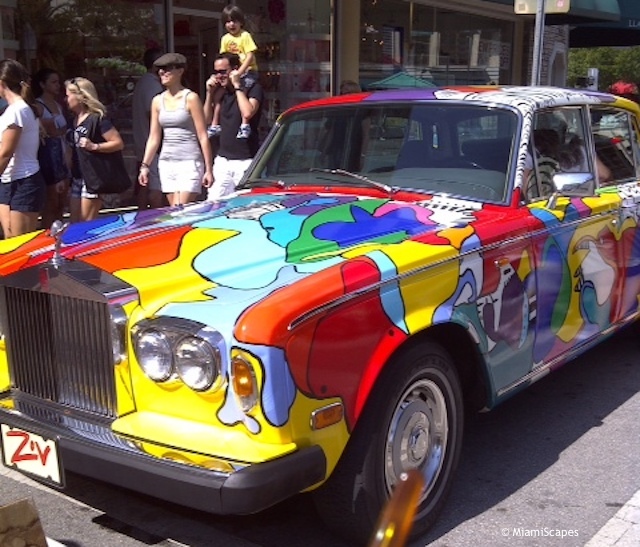 : Street parking will be tight during the Festival weekend. There are a couple of City Lots nearby on Bayshore Drive, otherwise try the Parking Garages on Oak Ave. or Coco Walk. See map below. Stay close to the action and enjoy all The Grove has to offer. 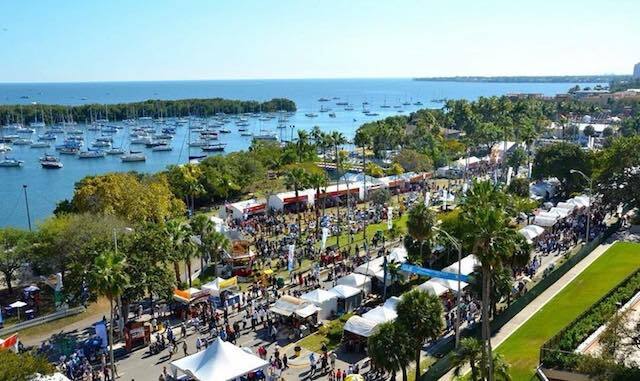 There are numerous hotels in Coconut Grove just steps from the Festival and the side-walk cafes, boutiques, galleries, marina and the lively nightlife. 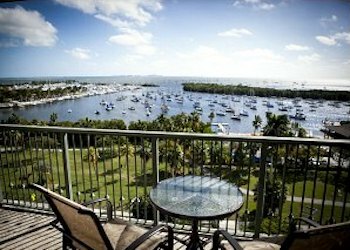 ›› Here's a hand-picked selection of Coconut Grove Hotels to suit a range of tastes and budgets.